"Real knocked Bayern out last season, and I still believe they are the best side in the competition. Bayern are too short to win this game." As European heavyweights Bayern Munich and Real Madrid limber up for another arm-wrestle at the highest level, it's impossible to ignore the man that binds the two clubs' histories together. Jupp Heynckes led both Bayern and Real to Champions League glory, and the 72-year-old has shown this term that he still has what it takes to manage the egos at a huge club. With Real aiming for a third Champions League title in a row, it's easy to forget that it was Heynckes who ended their barren spell in the competition. Before he led them to victory in the final against Juventus in 1998, Los Merengues had gone 32 years without being crowned as champions of Europe. Despite such a glorious achievement, he was dismissed as Real coach eight days later. Something similar happened to him in 2013, as he delivered Champions League glory for Bayern at Wembley against old foes Borussia Dortmund, only to be elbowed aside in favour of Pep Guardiola. Heynckes' fourth spell in charge of Bayern has been exceptional, even by his lofty standards. He took over a team that had become dismayed by the lack of intensity shown by his predecessor Carlo Ancelotti, and he quickly set about relighting the fire. When he took charge, Bayern were five points behind Dortmund in the title race. FCB have now bagged a sixth straight Bundesliga title, and are 24 points ahead of BVB. The Bavarian giants have also reached the DFB Cup final. Bayern swept aside Besiktas in the last 16, but weren't at their best in their quarter-final against Sevilla. They fell behind at the Sanchez Pizjuan after an awful start against a limited side, but eked out a 2-1 win with a strong second-half showing. The goalless draw at the Allianz Arena that saw Bayern progress was a display that won't have given Real any sleepless nights. Bayern are still without keeper Manuel Neuer, although deputy Sven Ulreich has excelled in recent months. The loss of midfield warrior Arturo Vidal to injury is a blow, although Javi Martinez has proven to be an influential presence since being pushed forward from defence by Heycnkes. When Rafa Benitez was somewhat cruelly dismissed by Real and replaced by Zinedine Zidane, some observers (including me) dismissed it as a classic Hollywood move by the Spanish giants, another triumph of style over substance. A man with Real in his heart, a man who had played for and coached the club's youth side, had been jettisoned in favour of someone who had dazzled as a player but was unproven as a coach. How wrong those doubts proved to be. Zidane has delivered back-to-back Champions League successes, and is now chasing a third. He ended the club's relatively long wait for the La Liga title last term, and he has overseen the development of a side accustomed to performing in the rarefied air of the Champions League. Of course, it helps when you have Cristiano Ronaldo in your ranks. Opta tell us he has scored in each of his last 11 Champions League matches (a competition record), and the overhead kick that helped his side beat Juventus 3-0 in Turin will live long in the memory. 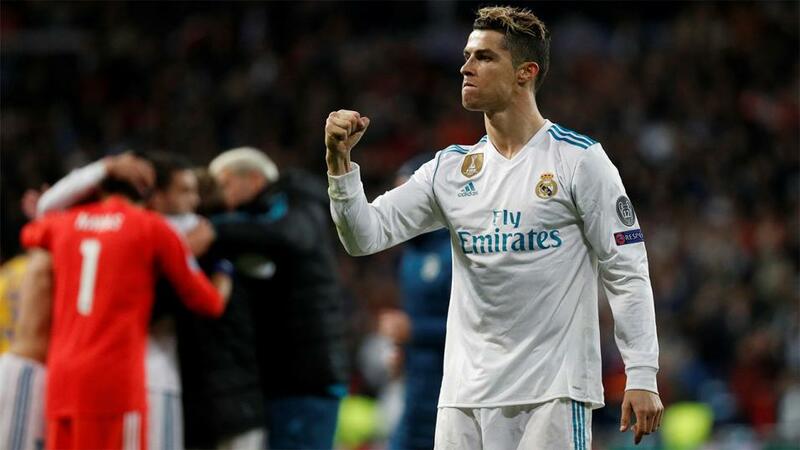 Ronaldo has scored 13 goals in UCL semi-final matches, far and away the biggest tally in the competition's history. As well as Ronaldo's encouraging presence, Real can take comfort from their excellent recent record against Bayern. They have beaten the Bavarians five times in a row in this competition, Bayern's worst ever losing streak against a side at this level. Real welcome back Sergio Ramos after he missed the 3-1 home defeat to Juve that nearly cost the Spanish side so dearly. They have no major players absent, and didn't play at the weekend, so they are well rested. There has been a lot to like about Bayern since Heynckes returned, and they are on stunning form, having won nine of their last 11 games, scoring 40 goals in the process. However, they have surely been scarred by their recent experiences against Real in this competition, especially last season's collapse in extra time at the Bernabeu. Real wobbled badly against Juventus, but I still believe they are the best team left in this tournament. They have won seven of their last ten nine away games in the UCL, including victories at Napoli, Bayern, Juventus, Dortmund and PSG. At [2.1], I can't support the hosts, so I'll back Draw or Away in the Double Chance market at [1.91]. Cristiano Ronaldo comes alive in these games, and I don't see why Wednesday night should be an exception. He scored twice on his last visit to Munich, and then bagged an hat-trick in the reverse fixture. I'm flabbergasted that he can be backed at [2.04], so don't hesitate.